Happy Weekend and Hello NYC! This was a week. Great in every way but also probably the hardest all the same. After announcing Wild Measure we felt a lot of freedom and ideas pouring from us. Though we are slammed right now (yes everyone who has emailed me in the last 2 weeks I have not forgotten you) and when I say slammed I mean 9 AM to 1 AM almost everyday with little other than yoga and maybe an episode of West Wing while we eat dinner. Just long enough to shut our minds off and recharge part way through the day. We have done little but this routine since getting back home last week. Even through this last weekend we were working so part of me is excited to hop on a plane and spend the weekend in New York City for a meetup with some other Pinterest Influencers and another part of me just wants to keep hauling through, but I know this is good for the soul and our creativity. Plus we get to go NYC together this time and I couldn’t be more excited about that. So though our stack of work is a mile high we are looking forward to getting inspired while wandering the streets of Soho and Chelsea. Any recommendations are welcomed! I always feel like there is so much to do and I know our quick trip will only have us seeing a few things, but we want to soak in as much as we can. You can keep up with our weekend on our instagrams (Mike and Megan). I am sure we will be posting all our finds and wanderings. Happy weekend my friends! Hope it is inspiring!! image above is an instagram from my last trip to NYC and type is hand done by me. 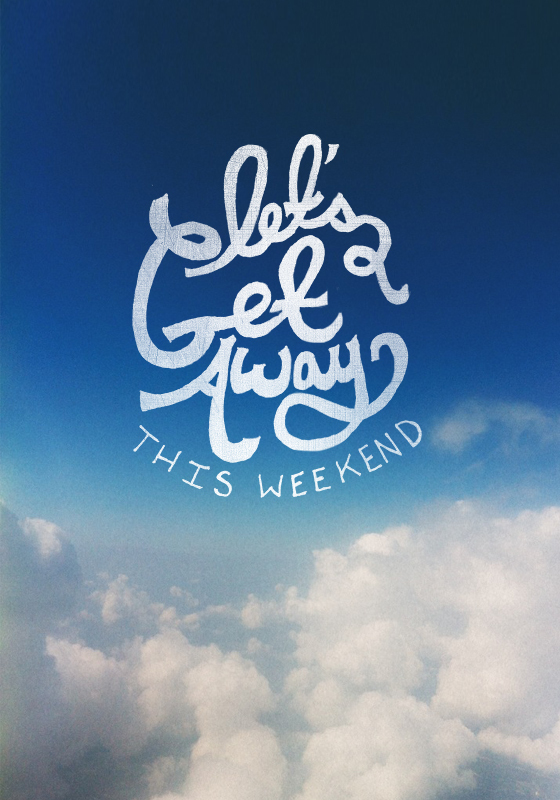 best of luck in your weekend wanderings! !